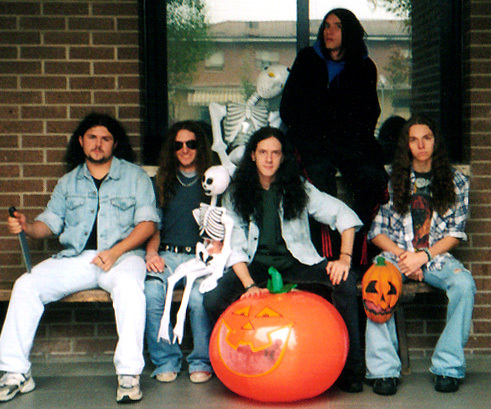 Trick or Treat perform since 2002 as Italian tribute band of the German band Helloween. The band was born of an idea of guitarist Luca Cabri, immediately supported by Nicola Tomei, first drummer of the band, and by bass player Leone Villani Conti. The three school mates shared the same strong passion for Helloween. Cabri’s choice of Alessandro Conti, valued local singer, as vocalist was unquestionable. The line-up was completed by Guido Benedetti, a guitar virtuoso who was already playing with Leone in the prog-band called Black Fabula from Modena. At the beginning of 2006, Nicola Tomei left the band,and he was replaced by the talented drummer Mirko Virdis. Their repertoire includes the best known songs of the German band (above all from “Keeper” era) performed with great accuracy. Their live shows strike the audience as particularly full of energy besides the voice of Alessandro Conti, incredibly similar to that of Michael Kiske. 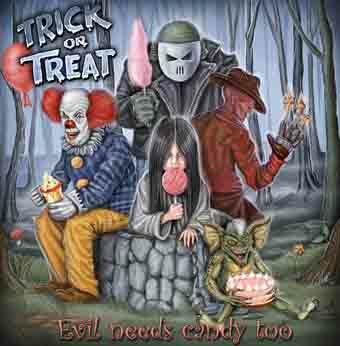 Soon Trick or Treat become one among the most appreciated Italian metal tribute bands and since then they perform regularly in the best Italian rock venues. After two years of live experiences the band decides to record their own songs and, indeed, in July 2004 Trick or Treat the recording of "Like Donald Duck" is finished. This 4 tracks demo of pure "happy metal" is praised by the most important webzines of this genre (“best power demo of the year” www.truemetal.it , www.eutk.it ) and obtains general consent from the audience. The success of “Like Donald Duck” takes the band to sign for the Italian label Valery Record (Pino Scotto-Fire Trails; the Phytons ) In 2005, after one summer spent in the famous "Fear studio" in Ravenna, the debut album "Evil needs candy too" comes to light. The album was presented at Rock.It in Aalen (Germany) on 31st October 2006, the date of European album release and in Italy, it was presented at Zoe Club in Milan, on 18th November 2006.